The Chinese attach great importance to water for a good brew. Since ancient times, "The tea of Longjing (Dragon Well) and the water of Hupao (Tiger Running Spring)," and "The water from the midstream of the Yangtze River and the tea from the top of Mount Mengshan" have been regarded as the best pairs for making tea. It is generally believed that "water is the mother of tea," and that it takes the incorporation of the right leaves and the right water to fully bring out the potential flavor of tea. The second rule is that tea wares are also of great importance to the quality of tea. 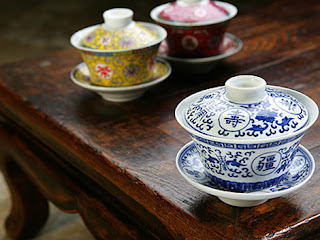 Different teas should go with different types of tea wares. People generally tend to steep green tea in glasses, oolong tea in kungfu tea in kungfu tea vessels, and red tea in purple clay pots. The utensil called gaiwan, literally "lidded bowl," is what the northern Chinese prefer when it comes to steeping scented tea. 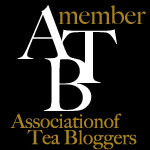 One must first be equipped with an understanding of the characteristics of all types of tea. The inherent character of tea will be able to be fully released if scientific methods are applied. In general, the three most important things one should bear in mind are the proportion of leaves to water, the water temperature and the period of steeping.